Applique made easy with precision-cut and pre-fused pieces ready to go. 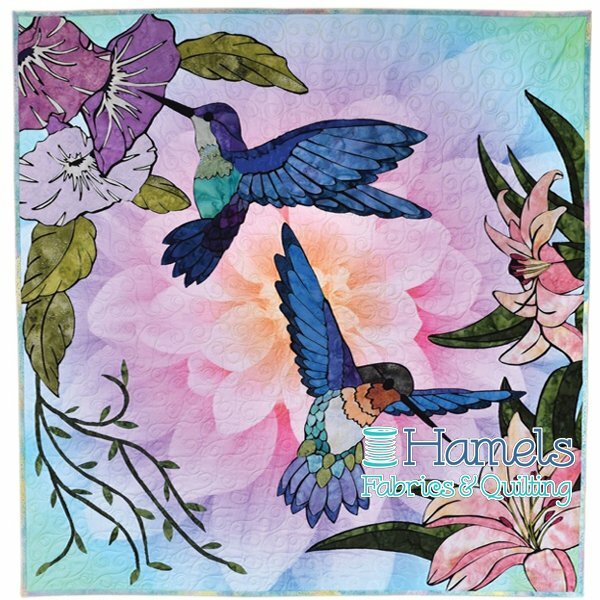 Kit includes precision-cut and pre-fused pieces for hummingbird appliqué, binding, assembly instructions and pattern to be used for future projects; applique piece part number and fabric placement guide; markings on fabric for exact placements. Finished size is 40 by 40 inches. Quilters accustomed to basic machine appliqué techniques will easily be able to master this seemingly exacting project. A backing and batting option is also available in the drop down bar.